How to Sign Up for the Official Fantasy Football League? Signing up for an official fantasy football league requires that you have an account on the site. To do this, you have a few options to choose from. First, you can either choose to use your twitter, Facebook or Google plus account to sign up. 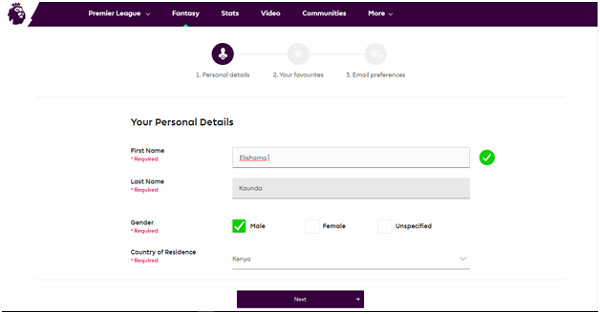 To do this, click on one of the options as shown in the image above and allow the official fantasy football league to have access to all your personal information, including phone number. Alternatively, you can decide to sign up by clicking here. 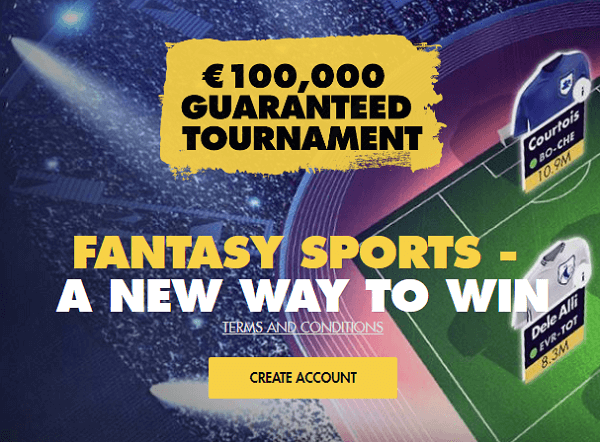 One you are redirected to the official fantasy football page, you’ll be required to provide your email address and other information regarding the EPL team that you support. You’ll also be required to choose whether or not you’d like to be subscribe to the notifications. All the fifteen players have to be chosen within a budget of £100 million. Also, you can only field a maximum of three players from each EPL team. 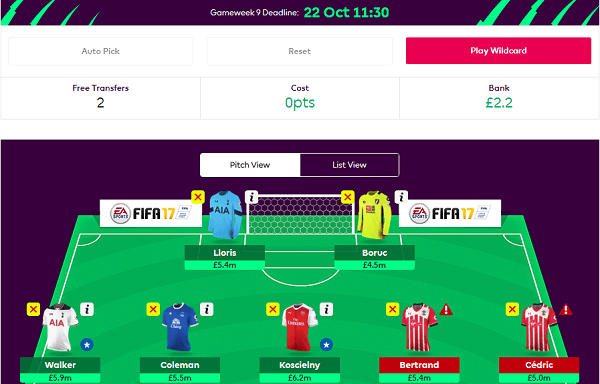 Once you have “purchased” your first 15 players, you will be required to choose a maximum of 11 on field players by the game week deadline. The 11 players include a goalkeeper, three defenders at least, one forward at least and midfielders. Moreover, you shall be required to choose a Captain and a Vice Captain to start. The points that you get on any given game week will be scored on how your 11 players perform on the field, and if a player that you’ve selected does not play, he is automatically substituted. In case of unforeseen events such as injuries and postponements due to automatic replacing of any player in your team who does not play in the Gameweek, your substitutes will provide cover. If your goalkeeper plays for 0 minutes during the Gameweek, he shall be substituted by the replacement Goalkeeper is he happens to have played. It’s therefore important that you choose goalkeepers who get regular play time. If any outfield player in your team plays 0 minutes in the Gameweek, they shall be substituted by the highest prioritized outfield player who has played in the given Gameweek. Confused? Don’t worry; we can take a look at a practical example. Say you have Santi Cazorla, Cesc Fabregas, and Victor Wanyama in that order as your substitutes. If Toure fails to play, Santi Carzola will be the player to replace him because he is appearing as the first player on the bench. If he fails to play and Cesc Fabregas does, he will be the one to replace Toure. There are set deadlines in each of the game weeks that you should adhere to. The deadlines are usually applicable to all the transfers that you wish to make and should be carried out an hour before the kick-off time – usually the first match of the Gameweek. Failure to meet the deadlines will result in all the changes being ignored and carried on to the next Gameweek. Therefore, if the first match of the Gameweek is 1400Hrs, you should have all your transfers completed before 1300Hrs for all the changes to be effective. Once you are done selecting your squad, you have an opportunity to carry out unlimited transfers at no cost until the deadline - which usually starts when the first match has started. After the deadline, you will only be able to receive one transfer each Gameweek. Any additional transfers you make after the one transfer will cost you four points from your total score in the classic scoring as well as the match score in the head-to-head scoring system. 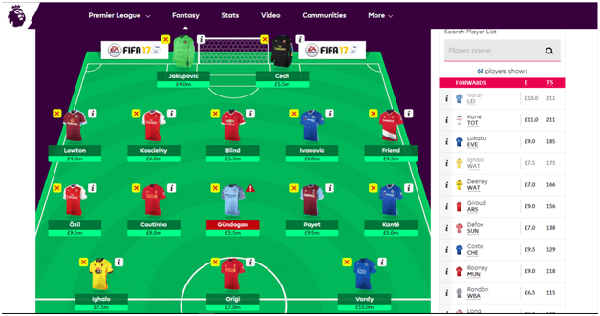 If you don’t use your free transfer, it shall be carried onto the next Gameweek. Take note that you shall never have more than one saved transfer in a week. The official fantasy football league awards its members for becoming position 1, position 2 and position 3. 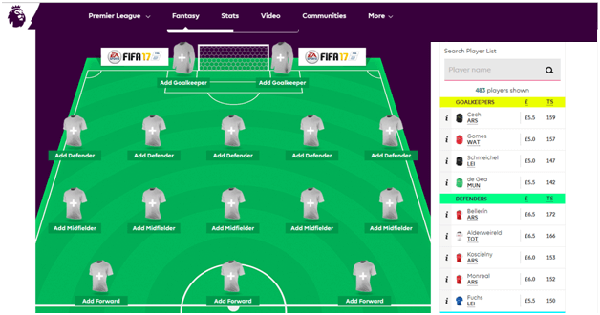 Further, the Fantasy Football League cup winner, the manager of the month, and the manager of the week are all awarded at the official fantasy football league for occupying different positions. A VIP hospitality to any two matches of your choice that will be played in the 2017/2018 Premier League season. This included 2 night’s accommodation and a travel to the UK. Besides this notable package for the winner of the official fantasy football, you will receive prizes if you are a manager of the month, manager of the week or happen to feature in the top 10 managers every month.